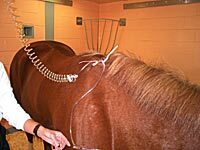 Attach the IV1000 Set to the mane of the horse. 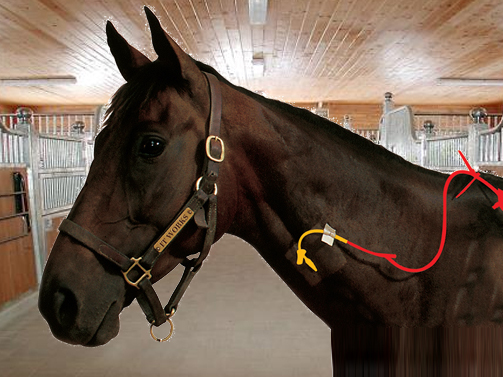 This step puts the IV set out of reach of the patient, insures the fluids will swivel properly, and relieves all strain from the intravenous catheter and associated connections. 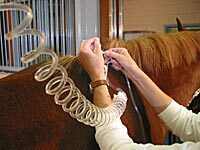 First braid together some mane hairs at the withers or simply grasp about a half-inch thickness of mane hairs at the withers and with white adhesive tape wrap them into a bundle. 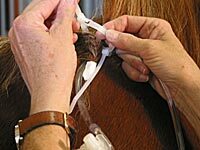 Open the releasable cable tie, insert the end through the base of the braided or bundled mane, and firmly secure the cable tie by inserting the end back into the locking device and tightening the connection. Position the tubing along the side of the neck providing a sufficient length so no pull is put on Extension Set and/or IV catheter and then tighten the non-releasable cable tie sufficiently to prevent the tubing from sliding in the cable tie but not so tight as to slow or obstruct fluid flow. To initiate fluid flow first open the on/off clamp on the Extension Set. Open the blue on/off clamps on the IV1000 Set. Adjust the fluid flow rate with the Screw-clamp at the end of the coil on the IV1000 Set. 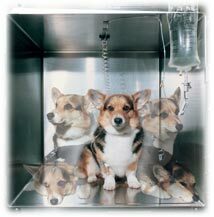 The package instructions include a flow rate chart for reference. 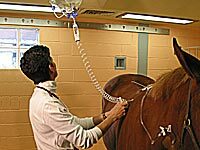 For foals and other animals with no mane it may be necessary to fashion or use a collar to attach the coiled IV set to the patient. 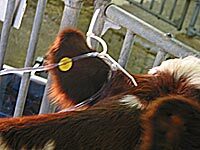 In cattle a convenient site to attach the IV1000 Set is an ear tag. 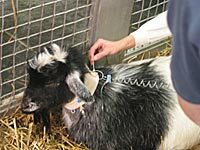 After a few flicks of the ear cattle ignore the attachment.